This 2130 Broadcast Salt Spreader is perfect for spreading large particles or quantities of rock salt. 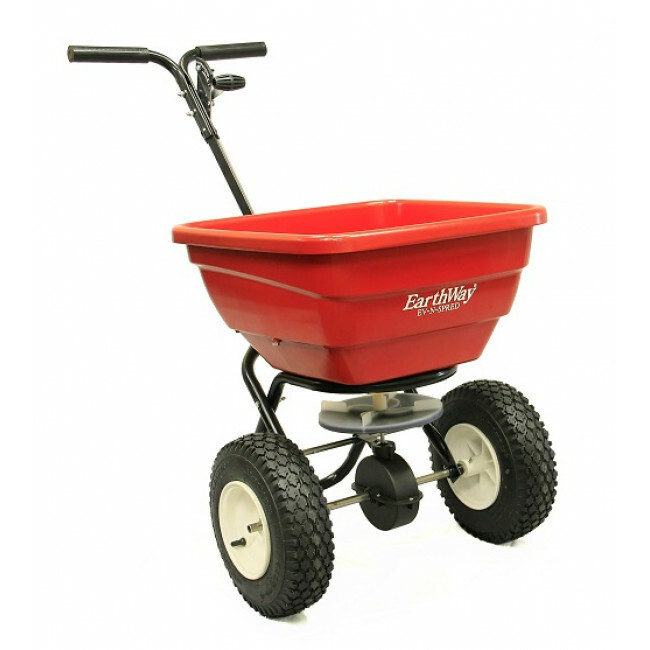 With a generous 36 kg hopper capacity and 33cm pneumatic stud type tyres, this spreader is very practical. Equipped with the exclusive High-Output shut-off, this spreader is designed to spread salt, seeds and other high volume granular materials. Having the ability to cover a spread area of 2.4m - 4.5m. The solid control linkage, adjustable height handle and “T”-Speed lever provide total operator control and comfort.